Joseph Hubbard, bass, Recent operatic credits include Snug in A Midsummer Night’s Dream and Larkens in La fanciulla del West with Virginia Opera, Figaro in Le nozze di Figaro , Allen Ginsberg in Glass/Ginsberg’s Hydrogen Jukebox , Bottom in A Midsummer Night’s Dream, Henry Mosher in Picker’s Emmeline , and Mother in Weill/Brecht’s Seven Deadly Sins with the Opera Institute; Colline in La Bohème, Sacristan in Tosca, and Orazio in the internationally acclaimed revival of Faccio’s Amleto with Opera Southwest; Seneca and Littore in L’incoronazione di Poppea with the Dunbar Early Music Festival and the Aldeburgh Festival (UK); and Sarastro in Die Zauberflöte with the Aspen Music Festival. Other operatic roles performed include Chucho in Bolcom’s Lucrezia , Superintendent Budd in Albert Herring, Horace in Blitzstein’s Regina, Publio in La clemenza di Tito, Micha in Prodanà Nevěsta (Bartered Bride), Bartolo in Le nozze di Figaro, Don Alfonso in Così fan Tutte, and Doc Gibbs in Our Town. 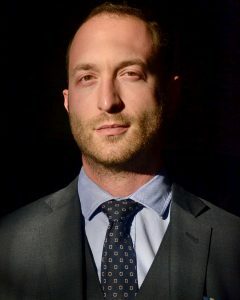 As a concert soloist with extensive experience in early music performance, Mr. Hubbard’s soloist credits include Alexander’s Feast with Mountainside Baroque, Tenet, and The Newberry Consort; Nico Muhly’s My Days with Anthony Roth Costanzo and Beth Morrison Projects at the Isabella Stewart Gardner Museum; Beethoven 9 at Boston Symphony Hall with Ken-David Masur and the BU Symphony Orchestra; Mass in B Minor with Handel Society of Dartmouth College; Abbot in an orchestral workshop of Paola Prestini’s Gilgamesh from The Ouroboros Trilogy with Beth Morrison Projects, Julian Wachner, and the Opera Institute; Israel in Egypt with Music at Marsh Chapel Boston; the title character of Fauvel in the 14th-century Le Roman de Fauvel with The Newberry Consort; a solo cantata by Johann Schelle with the North Carolina Historically-Informed Performances Festival; music from the Collegium Germanicum with the Duke University Vespers Ensemble at the Boston Early Music Festival; Russian Orthodox chant with Duke University Vespers Ensemble and St Jacobs Kammerkör in Stockholm, Sweden, and on tour throughout Scandinavia; Messiah with South Dakota Chorale; debuts at the Madison Early Music Festival, Art Institute of Chicago, and The Morgan Library and Museum (NYC) with Schola Antiqua of Chicago; Bach’s Mass in B Minor with the American Bach Soloists and Academy; and Monteverdi’s Vespers of 1610 in touring performances with Grammy-winning Ars Lyrica Houston, Orpheus Chamber Singers, and The Whole Noyse. As an ensemble singer, he has sung with such groups as Handel + Haydn Society, Schola Antiqua of Chicago, and South Dakota Chorale, with whom he also serves as Artistic Advisor. Mr. Hubbard has earned a Certificate from the Opera Institute at Boston University, and holds degrees from Northwestern University (M.Mus in Voice Performance and Literature) and the University of North Texas (B.Mus. in Vocal Performance).